on Passing the Free Exam. Employers can use our Skill Test with total Confidence as Our Tests have been developed to check the in-depth knowledge of candidates. Brainmeasures have the library of 5000 skill tests. The candidates will be given five chances to pass the free exam. after passing the exam, Candidates can order Hardcopy Certificate which will reach them in 7- 15 days at the given address. 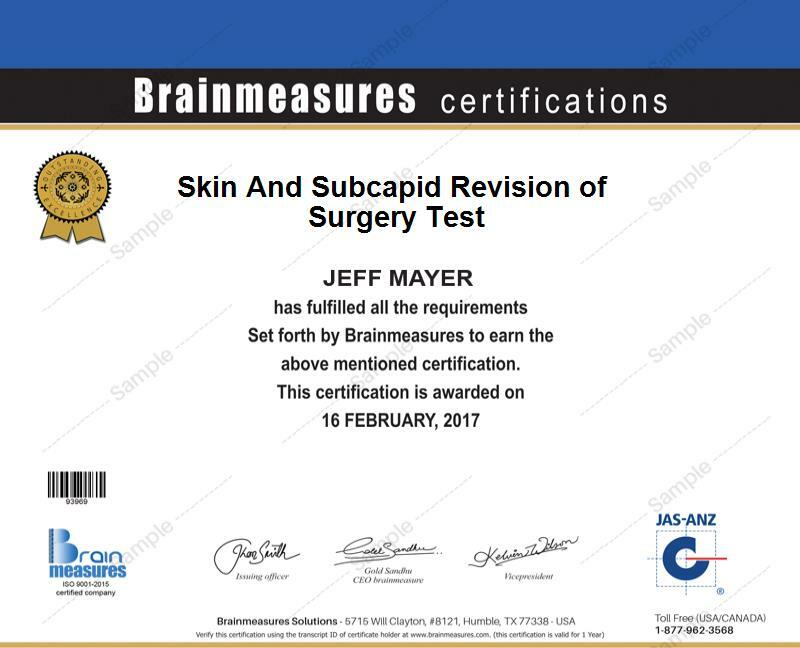 Candidate will be provided a unique transcript number which they can put on the top of Brainmeasures Homepage. On putting the transcript id, you can copy the above URL and use it anywhere to showcase your scores. You can Share it on Facebook, LinkedIn and other Social Media websites. Get certified and get hired By Employers 65 percent more than Non-certified job seekers. Brainmeasures Certified Professionals spend less time interviewing and more time driving value. Adding a Brainmeasures certification to your CV helps you stand out and get hired—faster. In some cases, certification has allowed hiring managers to fill positions 25% more quickly. With Brainmeasures certification take your career to the next level, make an immediate impact, helping you get noticed and move forward quickly in your career. Get Promoted, Brainmeasures certified professionals earn 65 % more than their uncertified associates, plus you will also be entrusted with supervising jobs putting you ahead for promotion.